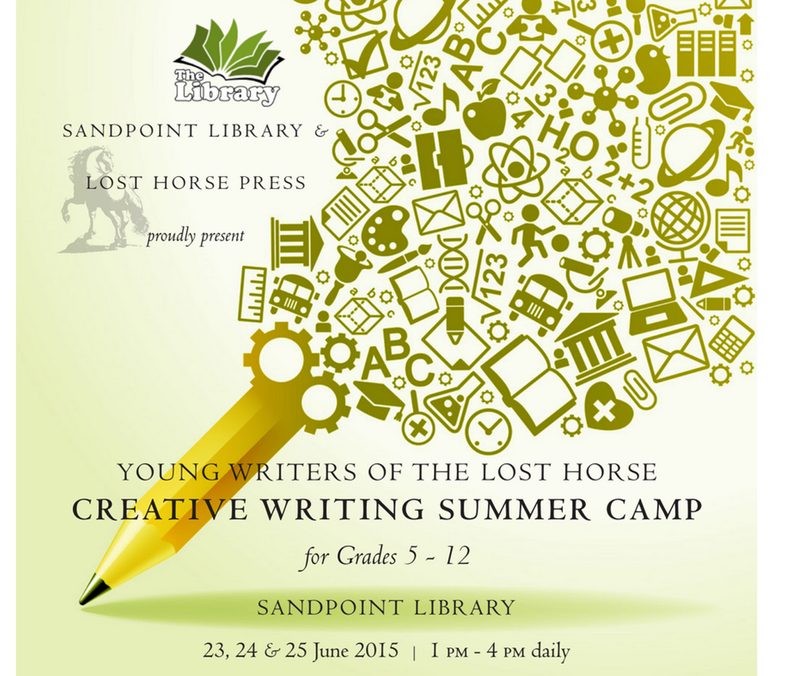 A creative writing and book arts camp for children and teens (grades 5-12), sponsored by Lost Horse Press and the East Bonner County Library District. MFA students Katie Pfalzgraff, Lareign Ward, and Elin Hawkin lead sessions on slam poetry, memoir-writing, nature writing, flash fiction, and fractured fairy tales. Lost Horse Press publisher Christine Holbert also teaches the art of Japanese stab book binding. June 23-25, from 1-4 pm.